This post is mainly for those who are not much satisfied with their existing commenting system on their blogs especially the blogger user. The default blogger blog commenting system is quite easy and I feel this quite odd. Earlier I was using the default commenting system of blogger but many times received the feedback from readers it’s not so good. Couple of my blogging friends also wrote in comments that once they typed whole comments and clicked submit, the page got refreshed and they had to write whole comments again. And so I was searching for other commenting system and finally installed the third party commenting system on this blog. At present blogger blogs does not have user friendly commenting system and people usually hesitate to comment on such blogs. So today I will be discussing about few best third party commenting system available for blogs. Comments are one of the important parts of blogging. It shows how much engagement you have on your blog and how much it is popular. If you want to get more engagement on your blog you should have good comments and its bit difficult with default blogger commenting system. So it’s time to move ahead and opt for third party commenting system. All most all the popular third party commenting systems are free to use and you also need not to have coding knowledge. They have user friendly UI and just you need to follow few basic steps. • Comments show the popularity of the blog. So the more comments and share you have the more popular your blog is considered. • Good engagements on the blog attract the advertisers. So you will be able to make good money too. • Indirectly it affects the SEO also. 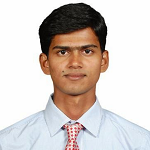 With the detailed articles comments are also considered as a ranking factor for search engines. Also Read: 31 Experts Have Shared Their Favorite Link Building Tools. What are Your's? So there are lots of benefits and you can’t take the risk to lose this important factor in the growth of the blog. There are lots of third party commenting systems available for free use but you should select the one which suits your niche. The best third party commenting systems includes Disqus, Intense Debate, Facebook comments, Google+ comments etc. These all are good and should be used as per the niche. Like for entertainment blogs you should use facebook commenting system as majority of the traffic to entertainment blogs come from social networking sites etc. 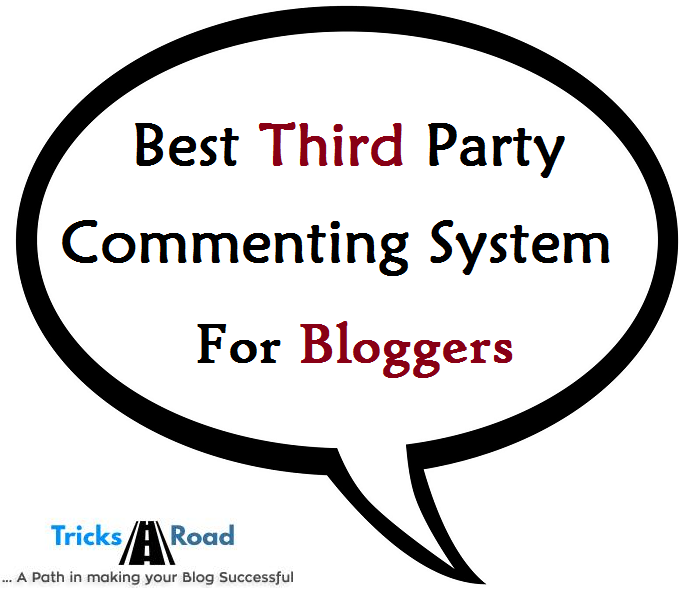 In this post I am going to share some best third party commenting system for bloggers. Take a look and select the best which suits your niche. 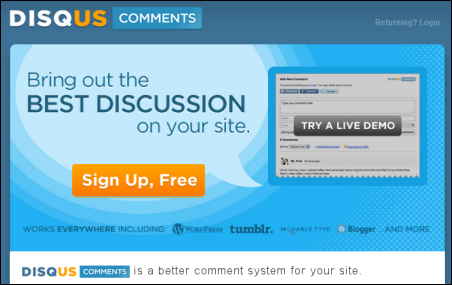 When it comes to third party commenting system Disqus is highly used in the blogosphere. This is considered as one of the best third party commenting system available due to its lots of features. Once you’ll register your blog and add the Disqus comment, it automatically sync to your blog and overwrite to the default commenting system of blogger. Also Disqus doesn’t only add its commenting system to your blog post but also it syncs your old comments. So you’re not going lose anything. Also it is SEO friendly and so nothing to worry about the SEO of the site too. Intense Debate is also one of the best commenting system available for bloggers. I am also using the same in this blog. The reason why I chosen this Intense Debate third party commenting system for my blog is with this you have the freedom to choose many other plugins like Comment Luv. I will write a separate post on how to install Intense Debate and comment Luv on your blogger blog. The commenter on your blogs wants a link back to their blog and this is available here. On most of the other commenting system once you’ll click on the commenter name it will redirect to their profile not to the blog. This is the best thing I like in Intense Debate. This is similar to the wordpress commenting system where you can comments using Name, Email Id and Website (optional). 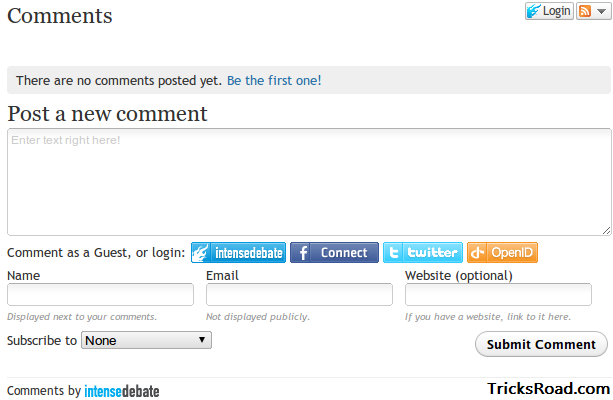 Also if you’re logged in to the Intense debate site you can directly comment. It has many other features like rating facility. You can like and Dislike to any comments. Also you can sort the available comments on the basis of different factors like Date, Rating etc. Google+ commenting system is one of the best alternatives to Blogger default comments by Google. The most important thing with this commenting system is Google+ comments are SEO friendly and since it’s a Google product so is very easy to install in blogs. It has an additional feature where you have the opportunity to share your comments on Google+ social profile too. Facebook comments are also very popular these days especially on entertainment blogs or the blogs where majority of the traffic comes from social media. This commenting system is very much beneficial for those who have great fan following on facebook. As once someone will comment on your blog a notification will be sent to all their friends with the link of your post. So by this way you can increase the traffic also. The only drawback that I see with Facebook commenting system is at few places especially work places facebook are banned and so users won’t be able to comment from these locations. Vicomi is the new third party commenting system. It also includes follow-followers like Twitter facility. I like the emotions icon of this commenting system using which readers can share their emotions which are not available on other commenting system. Slowly this is becoming popular. One Should Use Third Party Commenting System or Not? I think if, you’re a blogger user you should use any other third party commenting system for your blog. What you think? Are you using any of the above? Which you liked the most, please share those via comments.